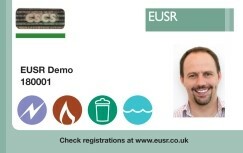 Below is an example of our current EUSR ID Cards. 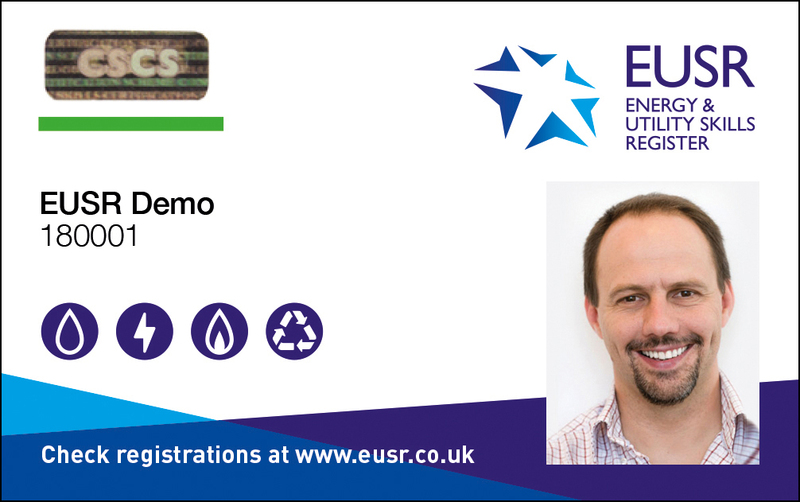 Please note if you still possess an old-style (green) card, this will remain valid and will be replaced by a current design card when registrations are due for renewal. 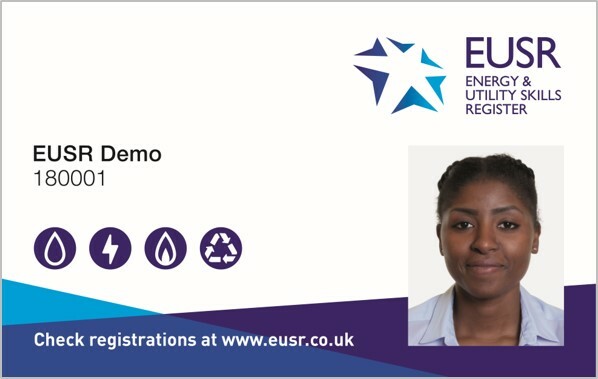 If employers have any questions about variations of the EUSR cards, then please ask them to check the EUSR register to verify your card. 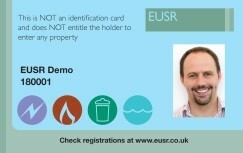 The front of all EUSR ID cards show the first and last name of the cardholder, their EUSR ID Number and their photograph. 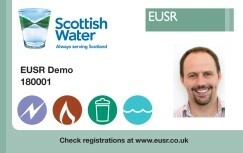 The reverse of the card details the current registrations (or endorsements) held by the cardholder. 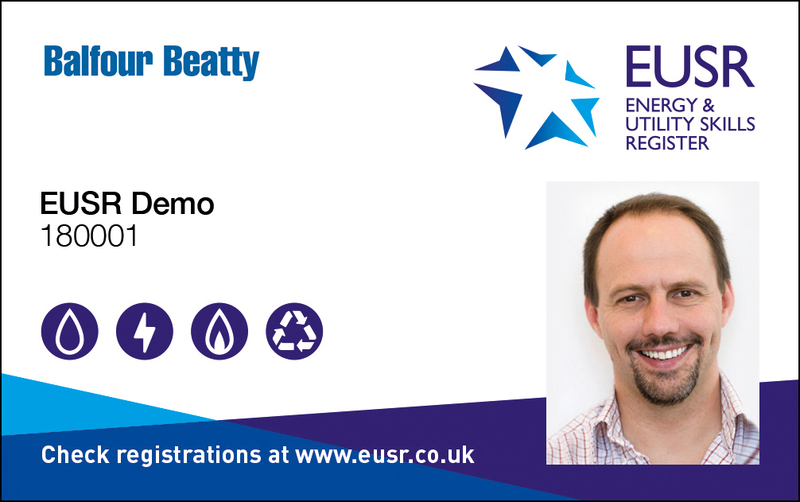 Additional registrations (or endorsements) are displayed solely online and can be viewed on our Register Search. 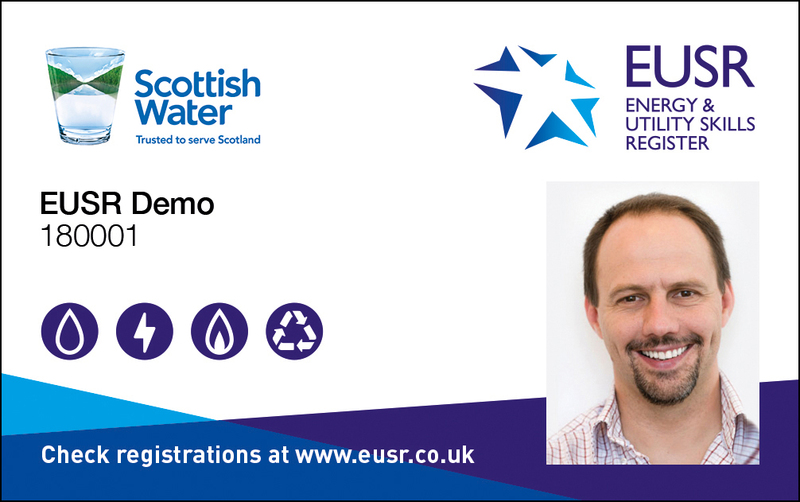 Individuals can search through their own registration including historic registrations (or endorsements) via the Authorised User section of our website. Our SHEA Schemes all carry the CSCS logo. 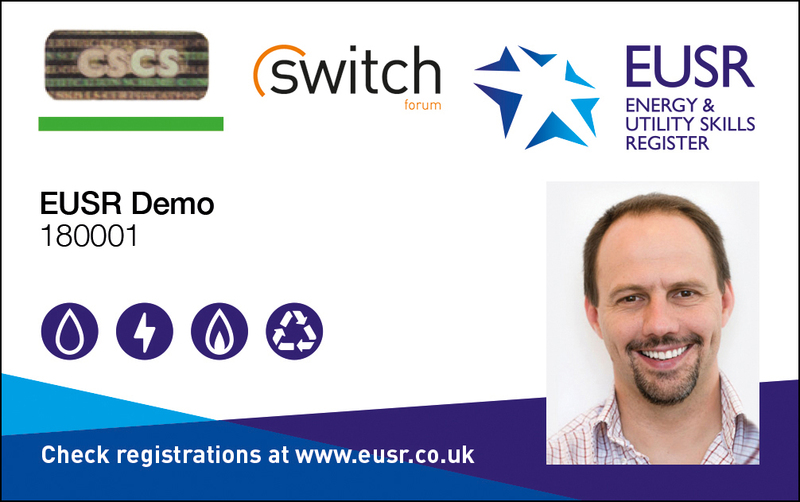 Cards carrying this logo allow the cardholder access to construction sites for the purposes of carrying out utilities work. Full details on CSCS Partnership can be found on the CSCS website. 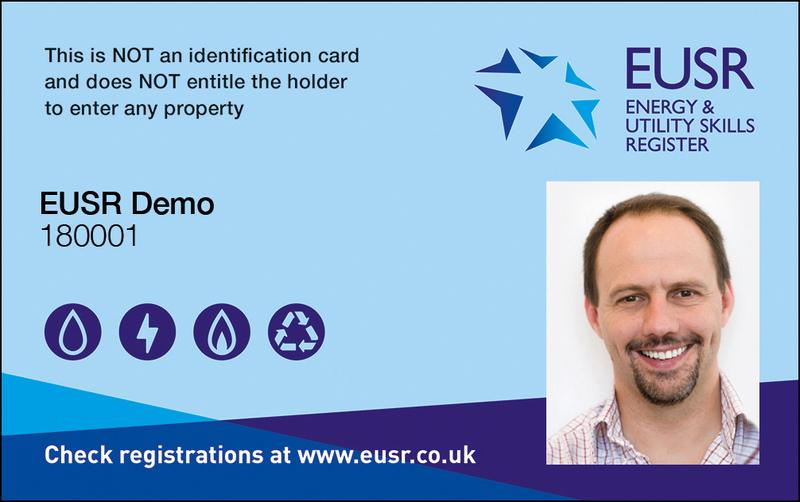 An EUSR ID card is NOT an identity card and does not entitle a card holder to enter premises. If you have any queries or questions relating to EUSR ID Cards, please contact EUSR Support. We are available Monday – Friday, 8.00am – 5.00pm, via email eusr@euskills.co.uk or tel: 0845 077 99 22.